Looking for professional software to convert business, financial, legal or any other kind of industry-specific documents from Russian to English and from English to Russian? With Systran being the leader in translation software development for the past 30 years, you are guaranteed to get accurate translations with fast turnaround, and always at the most affordable price possible. Russian is a difficult language to learn and to speak fluently. That's what makes Systran's Russian language converter so valuable. 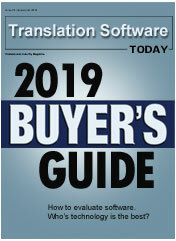 It not only saves you thousands of dollars in translation costs but it's also packed with unique and state-of-the-art features that no other software has. Keep formatting intact. It’s one of the few solutions that have the capability to retain the original document layout after it’s been translated. This includes everything from text highlighting and font styles to graphics and tables. Convert Russian documents with one click. Systran is integrated directly into your preferred applications, including Microsoft Word, Internet Explorer, and Outlook. All you need to do is click the “Translate” button directly from your application and the software will return an accurate translation in minutes. Customise it for your specific needs. Systran gives you space to build your own industry-specific dictionary. This enables the software to learn your style of writing and industry terms and return a more accurate Russian document translation. 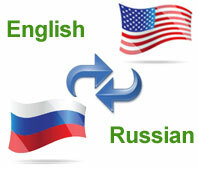 Word Documents - Translate complete Russian documents directly from Word with just one click. Excel Documents - Retain formatting when you convert one or multiple Excel spreadsheets. PowerPoint Files - Translate entire presentations to and from Russian in less than 30 seconds. PDF Files - Need to convert huge PDF files? Systran will get the job done while also retaining formatting. 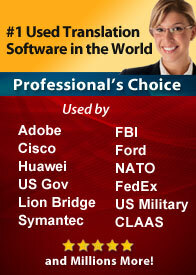 Email Support - Easily exchange emails in Russian with business partners and customers . HTML Web Pages - Convert web pages or entire sites in English while preserving the links and tags. Russian is spoken by about 170 million people and is the primary language of the Soviet Union. Because of its large number of speakers and its leading position in the former Soviet Union, Russian is one of the chief languages of the world. Used officially by the United Nations, it is important in scientific writing as well. The Russian language, also called Great Russian, is a member of the East Slavic group of the Slavic subfamily of the Indo-European family of languages. The Russian language uses the Cyrillic alphabet. The Cyrillic alphabet is closely based on the Greek alphabet, with about a dozen additional letters added to represent Slavic sounds not found in Greek. Want to test the software to see for yourself how quickly and accurately it can translate a complete Russian document to English? Set up a free test now and a member of our staff will demonstrate how it works. Or if you’d rather test it yourself, check out our free Russian translation tool.